I realize this smoothie is pretty similar to the peanut butter and jelly smoothie that I posted last year. But blueberry jelly is less popular than strawberry jelly, so I decided that it deserved its own post. 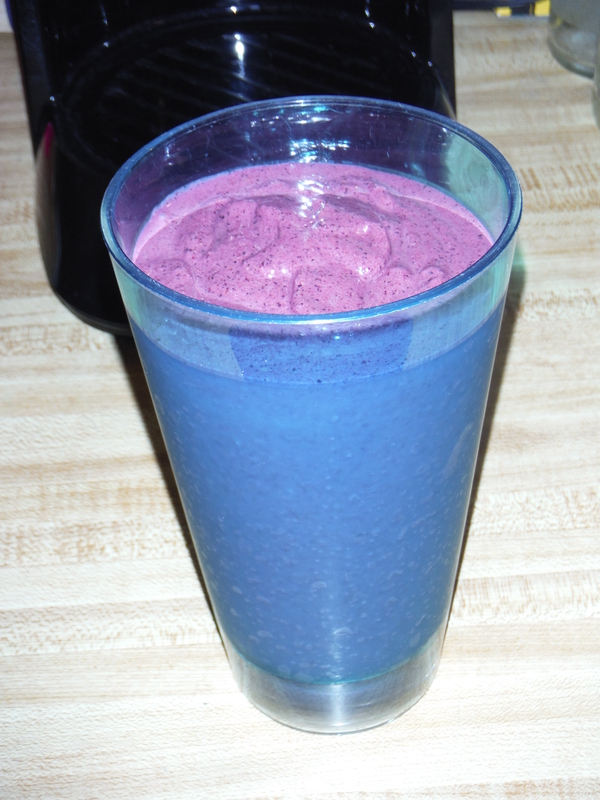 The inspiration for this smoothie came from my putting blueberries on peanut butter toast. It’s very yummy, but it can be a bit tricky to eat. This smoothie has all the flavor without fear of blueberries rolling off of bread. Most of what you’ll need. In a bender combine the first 5 ingredients until mostly smooth. Add the honey and salt and any additional milk if the smoothie is still too thick. Blend until well combined and smoothie reaches desired consistency. Pour into a tall glass and enjoy! 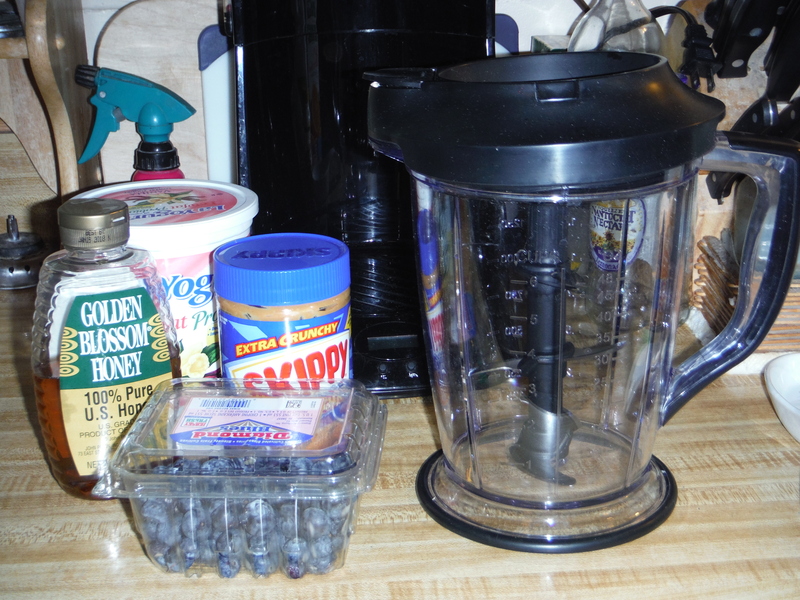 Posted on August 30, 2015, in Etcetera and tagged blueberry, breakfast, healthy, peanut butter, recipes, smoothie, Smoothie Sunday, yummy. Bookmark the permalink. Leave a comment.